Leeds United fans have won praise after teaming up with campaigners to provide free sanitary products for female supporters on matchdays at Elland Road. 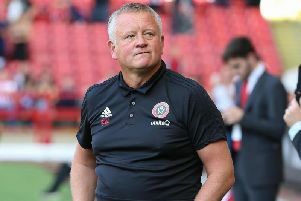 Trays of tampons and other items were put out in the various ladies' toilet blocks around the ground for the first time at United's game against Sheffield Wednesday at the weekend. Signs above the trays read: "We don't believe that you should pay for these essential items. Please take what you need." Work is also under way on the installation of pay-to-use sanitary dispensers in the ladies' toilets across Elland Road. 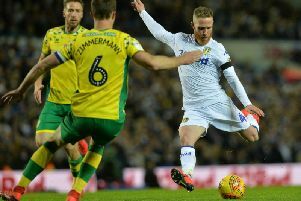 The initiative, which has the backing of the club, is being led by the Leeds United Supporters' Trust and Freedom4Girls, a Leeds-based project that supplies menstrual items to schools, food banks, women’s refuges and homeless charities. Trust chairman Steve White said: “It’s important that football clubs are inclusive for everyone, so we are pleased that the club have listened to and acted on the feedback. Freedom4Girls founder Tina Leslie said: “It’s great that Leeds United and the Trust are recognising the need to supply menstrual products in their ladies' toilets. "Supplying products and working with the Leeds United Supporters' Trust to provide product-filled baskets in the toilet facilities is a fantastic step forward." Praise for the move came today from On The Ball, a group campaigning for free sanitary products to be made available at all football grounds. A spokesperson for the group said: “It’s fantastic to have Leeds United on board with our On The Ball campaign. "Football is leading the way on provision of period products and we hope this inspires others to make their spaces just as inclusive as Elland Road now is for female fans.